I rarely blog book reviews, but this lovely book has a World War II theme and I adore a good love story with some deeper historical contexts. Plus, we just watched the recently-released Netflix movie and to my joy the movie was wonderful and very much in keeping with the book. Until I sat down to write this, I hadn’t realized that the author, Mary Ann Shaffer, died before the book was published and that her niece helped her finish it. The added poignancy made the story feel that much sweeter. This isn’t a book review. Just a recommendation to read The Guernsey Literary and Potato Peel Pie Society AND watch the movie. You’ll be glad you did. Happy 2nd birthday War Bonds! Two years ago today, I was humbled and amazed by the turnout for the launch of my first book. In the five years it took to write and publish War Bonds: Love Stories From the Greatest Generation, I lost so many of the couples featured. It broke my heart that some weren’t there to see their stories in print. In the two years since publication, I’ve lost several more. Each death leaves an ache in my heart. Yet at the front row of the book launch party many of my War Bonds couples were present as well as widows and widowers. They were in awe of the size of the crowd and watched with joy as every single copy of War Bonds sold out at Auntie’s Bookstore. I’ve learned a lot about publishing, publicity, book tours and public speaking over the last two years– knowledge I know will serve me well when my next book comes out. Today I’m still somewhat disbelieving that War Bonds is on bookshelves, in libraries and for sale in bookstores all over the world. I’m so thankful for those who stood with me during the long journey from idea to pub party. Thankful for readers who bought the book, read the book, reviewed the book and recommended it to others. Thankful for bookstore owners, civic groups and organizations who invited me to share the message that true love can survive anything– even a world war. But more than anything I’m thankful for my War Bonds family. They opened their hearts, homes and lives to me and allowed me to poke around. Then they trusted me to share their stories with the world. I hadn’t checked my Amazon author page in awhile, but two new reviews prompted me to take a look. While I’m thrilled War Bonds: Love Stories From the Greatest Generation is still generating reviews 18 months after publication, what caught my eye was that the list of copies available from Amazon now includes “collectible” editions! Having no clue as to what makes recently-published books, collectible, I clicked on the copies offered. To my delight it was the signed copies that were deemed collectible and offered at higher prices than the unsigned copies. I admit it. I Googled myself. Don’t tell me you haven’t! But what I found today, delighted me! Two reviews that I’d never seen. 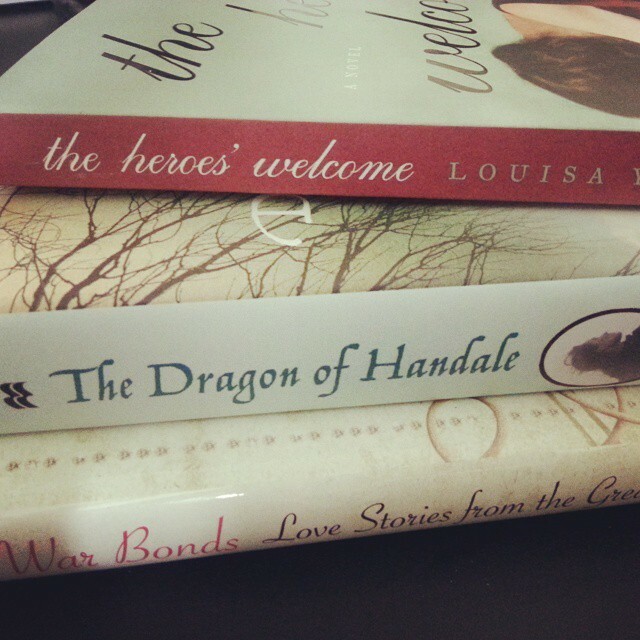 The first was this lovely mention of War Bonds from a blog called Doodles and Words. 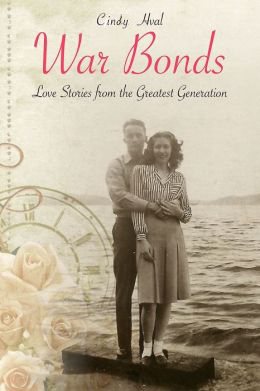 “War Bonds– Love Stories of the Greatest Generation by Cindy Hval is a collection of beautiful and loving memories of couples who met during World War II. She recounts how these men and women met and stayed together for decades despite many obstacles. Who doesn’t love a good story? Well, what about 36 of them? And the second came from Pearl Harbor! “We first heard about the Pearl Harbor Survivor Couple, Betty and Warren Schott, in an article in the Spokesman-Review by Cindy Hval. This remarkable couple was living on Ford Island when Pearl Harbor was attacked. They heard an explosion and Warren quickly recognized that Pearl Harbor was under attack from an enemy. Many others on Oahu at the time thought that it was a drill, but Warren saw the rising sun on the wing of a Japanese plane flying overhead. Warren Schott watched as the USS Utah was torpedoed. He then took his wife and another family living below them to safety. Warren did not seek safety himself, instead he returned to Battleship Row to help victims of the attack. “I took one of the boats and picked up our fellows who were in the water,” he recalled. The men he pulled out were covered in oil. Betty Schott did not sit idly by herself. This Pearl Harbor Survival Couple was married for 76 years before Warren Schott passed away in May 2014. Betty lived another year and passed away on July 5, 2015. We appreciate the excellent story from Cindy Hval about this fascinating couple and the impression they left on her. You can read Ms. Hval’s stories about the Schotts here and here or in her book below. We salute you Cindy Hval for your story and we salute the Schotts for their service to our country.